Fine natural gemstones are exceptionally rare and there are relatively few dealers in the world who specialize in them. At one time it was necessary to travel to a gem center like Bangkok or to an international gem show to see a dealer's collection. But the internet has made it possible to view and purchase rare gems online, bringing the world's best gems to your desktop. The one limitation is that you have to evaluate gemstones from photographs. Or, to be more precise, partly on the basis of photographs. That is because there is a wealth of information about a gemstone that is provided in textual form, either in the dealer's description or in a gemological certificate from an independent laboratory. 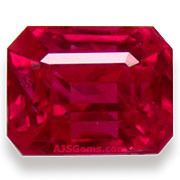 That information includes the gem variety (sapphire, ruby, spinel, etc. ), the size, weight, shape, cut, treatment (if any) and the stone's origin. Indeed in the world of diamonds, dealers routinely buy diamonds on the basis of certificates from well-known labs such as a GIA, without ever seeing photos of the actual diamonds. That would be impossible in the world of colored gems, where there are no standard grading systems for color, clarity or cut. 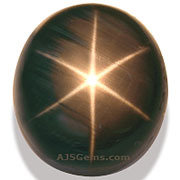 So for colored stones, gem photos are extremely important. 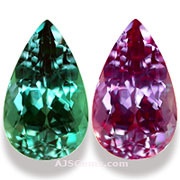 The most critical requirement for a gem photo is to accurately represent the color of the stone. 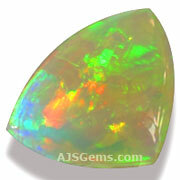 It is not a trivial thing to accomplish, since gems look different under different kinds of light. It is all too easy for the dealer to abuse the consumer's trust, and produce "glamor shots" that make a gem look better than it it really is, either by manipulating the lighting or by using graphics programs to enhance the photos. We take all our gem photos under lighting that emulates natural light at midday. These lights have a "temperature" of 5000 Kelvin, which means they well balanced, favoring neither the red nor the blue ends of the spectrum. We are also careful not to overexpose our photos, since a frequent source of disappointment for gem buyers is that the actual gem appears darker than the photos. We generally take at least a dozen photos of each gem and then carefully select the best photo for our website. The photo selection is actually a very important part of the process, since it involves comparing the photos to the physical gem. It takes a very practiced eye to select the best photo, because the goal is not to select the most impressive or beautiful photo, but rather the photo that most accurately represents the gem. Of course a still photo cannot capture certain qualities of a gem, particularly the sparkle and brilliance as it moves in the light. In recent years we've added videos of many of our gems, to give our customers an experience that comes closer to real life.